At Demartek, we’ve been declaring for years that flash storage—specifically all-flash arrays—and high-speed storage networks are made for each other. Flash storage systems are just too fast, and capable of too much bandwidth, to deploy on slow networks. Optimal performance cannot be realized when the storage area network (SAN) cannot bring the real power of flash to the server. We believe that businesses deploying all-flash that a Gen 5 16GFC or better SAN is the only way to maximize the return on investment in high-performance storage systems. Older SAN technology simply robs all-flash products of valuable bandwidth and response time potential. 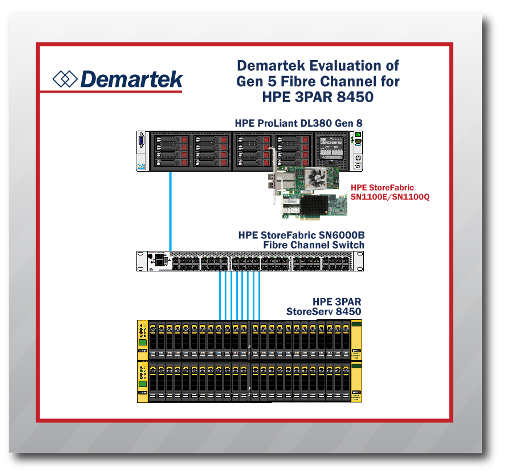 Demartek was commissioned by Brocade, Emulex, QLogic and Hewlett Packard Enterprise (HPE) to evaluate the benefits of moving online transaction processing (OLTP) workloads to 16GFC technology from 8GFC technology.